Who sells Seashells by the Seashore? You can be the one stitching them. 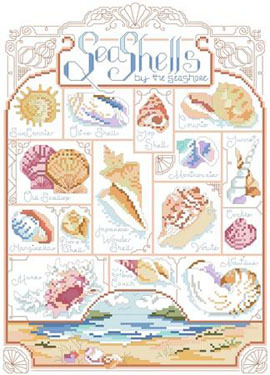 We have a color-blocked panel sampler of shells that are a beach comber’s delight. This is a reminder of special days walking along the ocean shore. Contents: Stitch Count 126w X 177h, Finished size on 14ct: 9" x 13"